RTGS and NEFT application forms of different Banks may be needed time to time . RTGS and NEFT forms are required for funds transfer through one bank account to another bank account. Furthermore the account holder needs to sign the forms for a valid rtgs and neft. 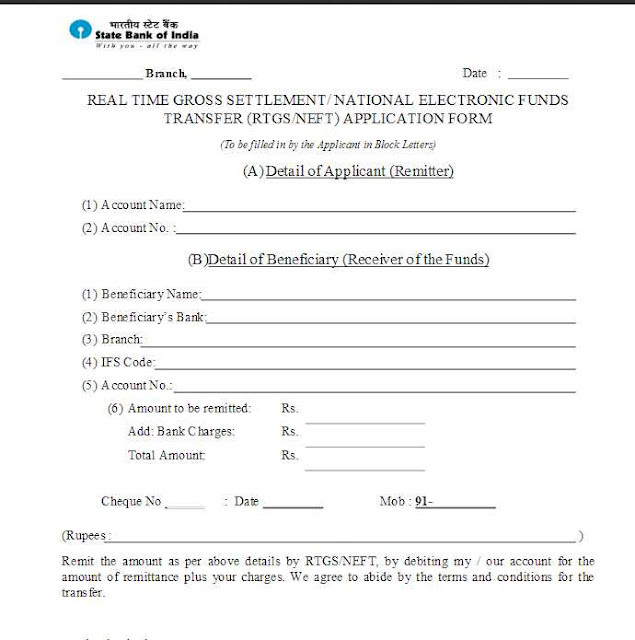 So the account holder needs to visit to the banks or some person needs to collect the forms to the bank and then the account holder will sign these forms for funds transfer. RTGS and NEFT Forms of all Banks Free Download. Sometimes it may create delay and looks like hectic. Therefore there is rtgs and neft forms of different banks. I try to upload as many banks as i can. But not all the banks forms are available. So keep visiting this page and better bookmark this page for easily visit. RTGS and NEFT Forms of all Banks Free Download from here.